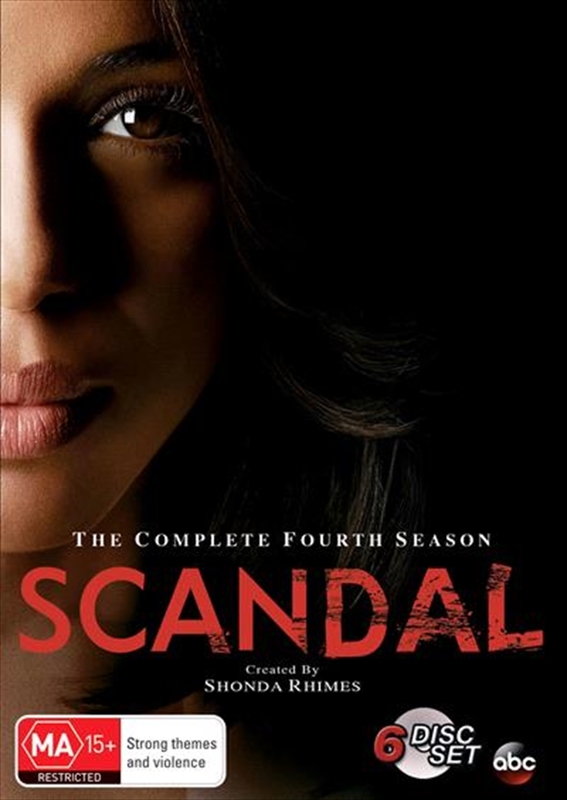 Scandal Season 4 DVD - On Sale Now With Fast Shipping! Amidst a barrage of seduction, betrayal, conspiracy and murder, ultimate "fixer" Olivia Pope (Kerry Washington) is pushed to her limits in Scandal Season 4. After the shocking events surrounding President Grant's reelection, a newly fragile Olivia has gone off the grid. But her plan to "stand in the sun" with Jake is derailed when Quinn tracks her down with news of Harrison's death. Once back in D.C., Olivia struggles to reconnect with her embittered "gladiators." There, she's finally forced to confront the unspeakable evil her father has wrought. And once she chooses sides against him, there's no turning back. Meanwhile, the traitorous vice president uses Olivia to blackmail Fitz with devastating results. Relive every intense moment as you explore the darkest corridors of private obsession and political corruption in all 22 episodes.